The 43rd president said it best:” Fool me once, shame on...shame on you. Fool me — you can't get fooled again”. That’s exactly how the market reacted to the latest upbeat comments about the US/China trade negotiations in the wake of the failed US/North Korea negotiations. 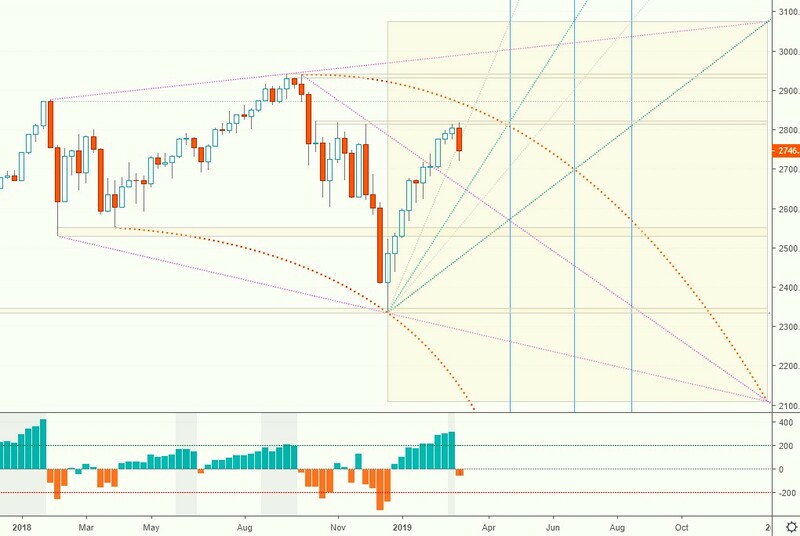 After briefly making a new swing high at the beginning of the week, the major indices got sold off and broke through several technical support levels, confirming 2763 as the key bull/bear pivot for the upcoming week. 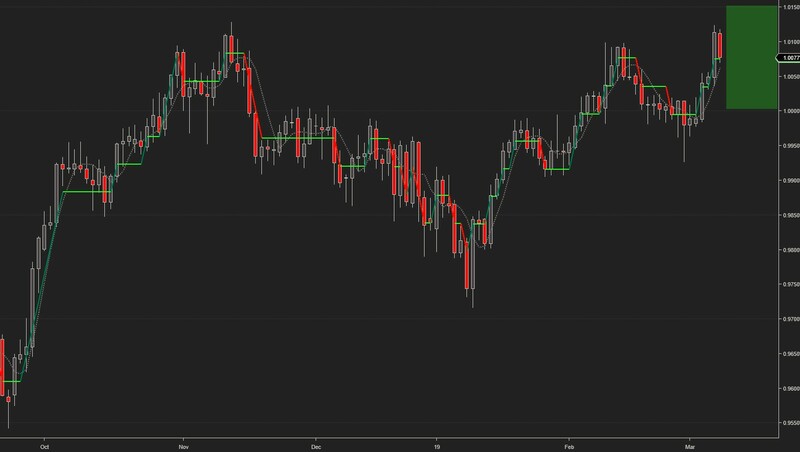 The daily SPY chart shows in greater detail the level of market breadth deterioration during the last five trading days, which is consistent with previous retracements. A break below Friday’s low should lead to a retest of February’s lows. 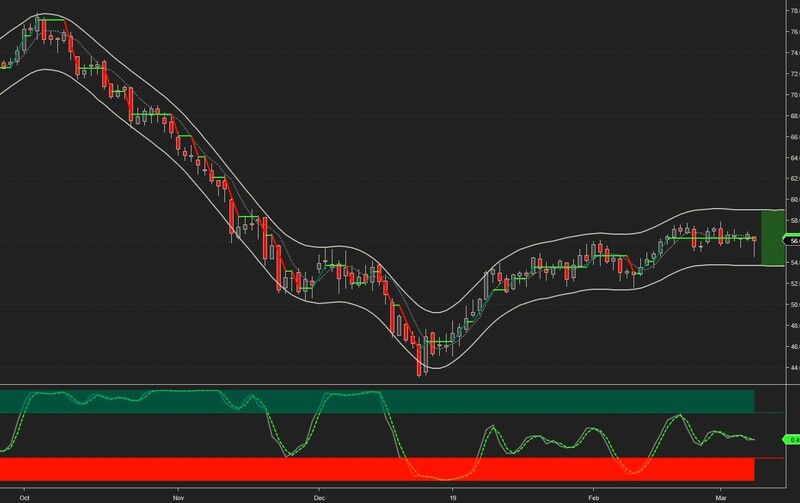 However, after five days of declines, the market breadth oscillator has reached oversold levels, suggesting that a bounce could be imminent. The projected trading range for next week for SPX remains unchanged at 2690-2825. Oil continues trading flat, unable to break above $58. GOLD confirmed our expectation that last week’s downswing was getting overextended. It dropped to the lower weekly target on Monday, and traded there until Thursday, when it finally staged a rebound. Current signals: Daily Flat, Weekly flat. USDCHF broke above $1.00 and reached the upper weekly target. Parity remains the bullish/bearish pivot going forward. 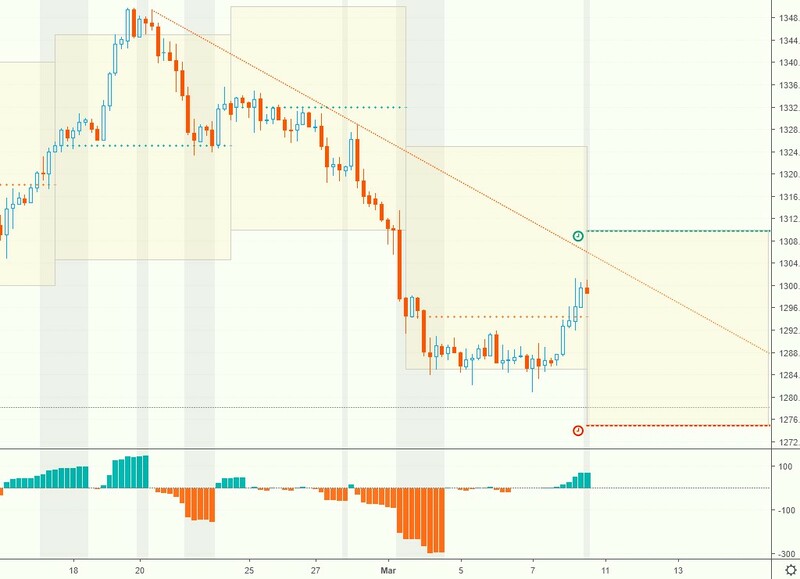 USDJPY showed signs of trend exhaustion early in the week and stalled at last week’s upper target. It remains in an uptrend, however, and keeps the same weekly targets.